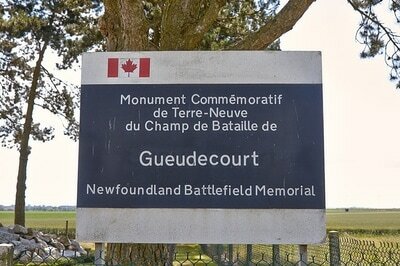 The memorial is one of six memorials erected by the Newfoundland government following the First World War. 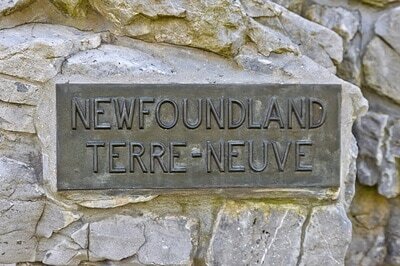 Five were erected in France and Belgium and the sixth at Bowring Park in St. John's, Newfoundland, Canada. 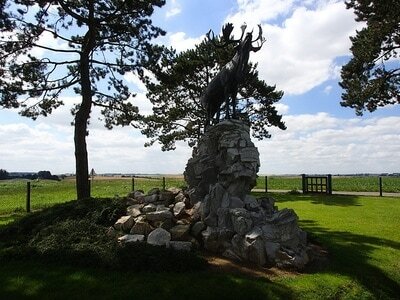 The memorial is a bronze caribou, the emblem of the Royal Newfoundland Regiment, standing atop a cairn of Newfoundland granite. 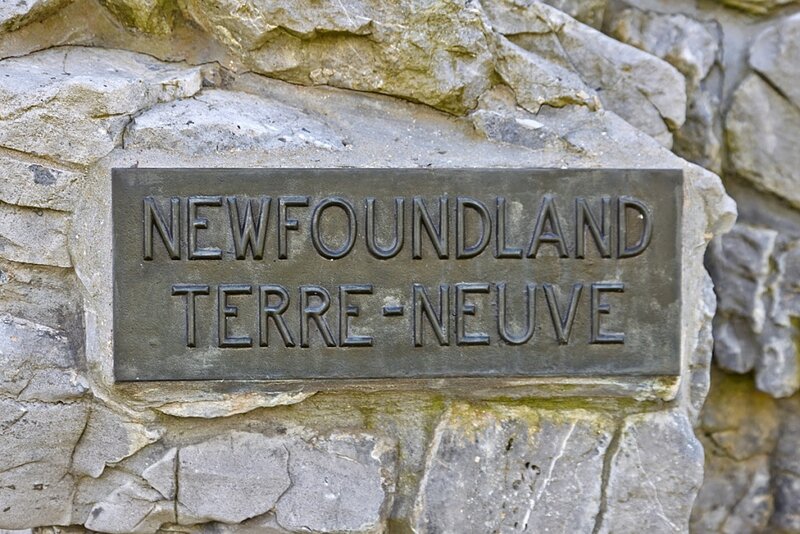 The mounds are also surrounded by native Newfoundland plants. 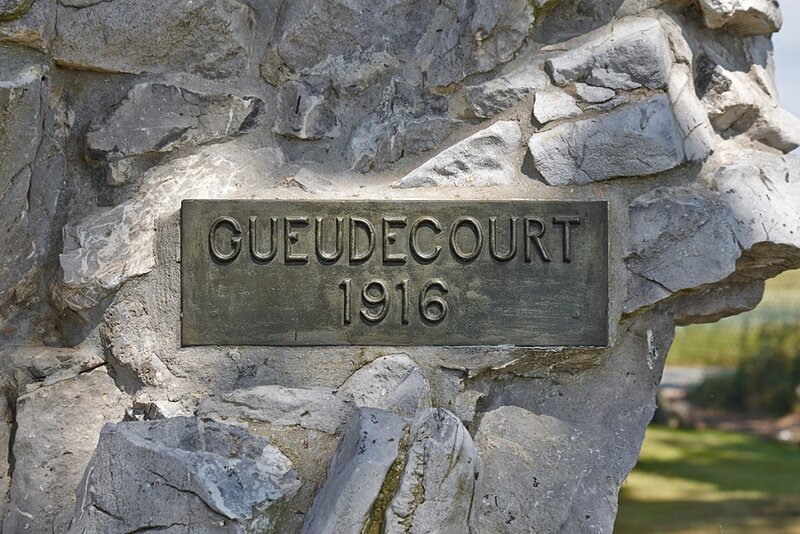 The Gueudecourt Memorial is situated on the D574 road, about one kilometre northeast of the village on a site that was the British front line of 17 November 1916, the final day of the British offensive at the Somme. 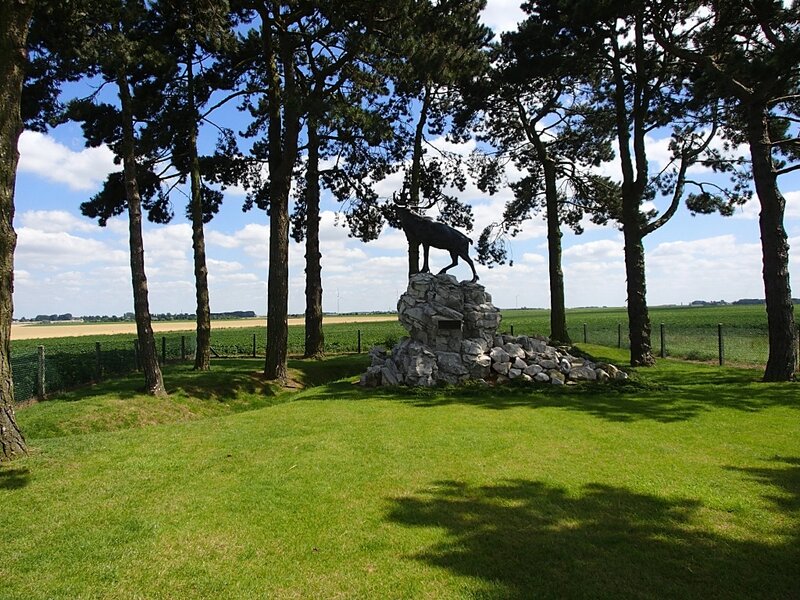 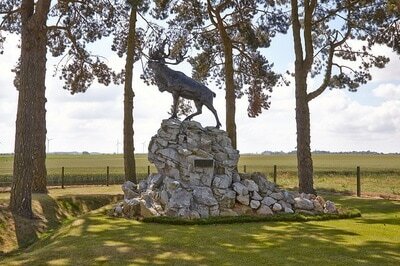 Clearly visible behind the caribou as seen from the memorial's entrance is a preserved trench line. 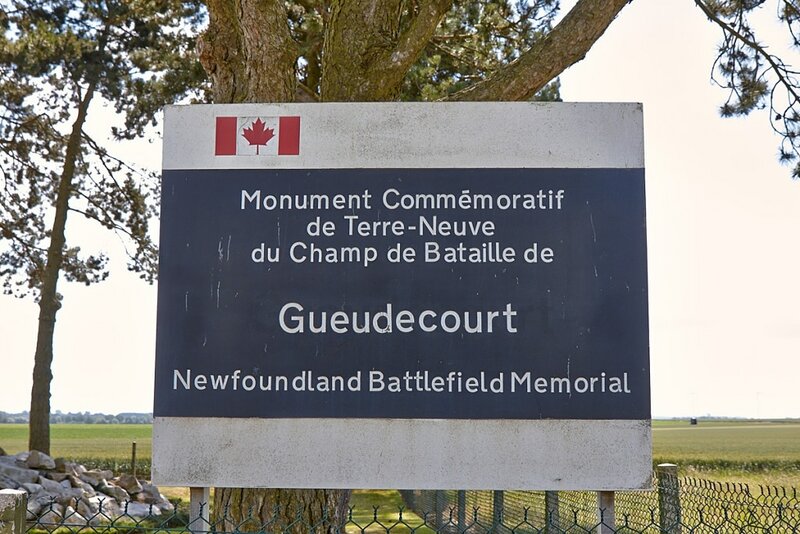 The area in which the memorial stands was seized by Newfoundland troops from the Germans on 12 October 1916 and marks the farthest point of advance of British units during the Battle of the Somme.